Please be advised that the work day & ski swap planned for this Sunday, November 18th, has been POSTPONED. There is currently groomed snow at Laurel Ridge and the Ski Concession plans to be open this weekend. PACCSA still plans on having the work day / ski swap in the near future and will send out notices as soon as a new date is confirmed. Join PACCSA on Sunday, November 18th for some pre-season fun! We'll be kicking off the day at 10:00 AM with an all-day Ski Swap in the upper warming hut. If you have ill-fitting ski equipment/clothing that needs a new home, or are hunting for some reasonably priced gear, this is your chance! This Ski Swap is a totally free event for anyone interested. 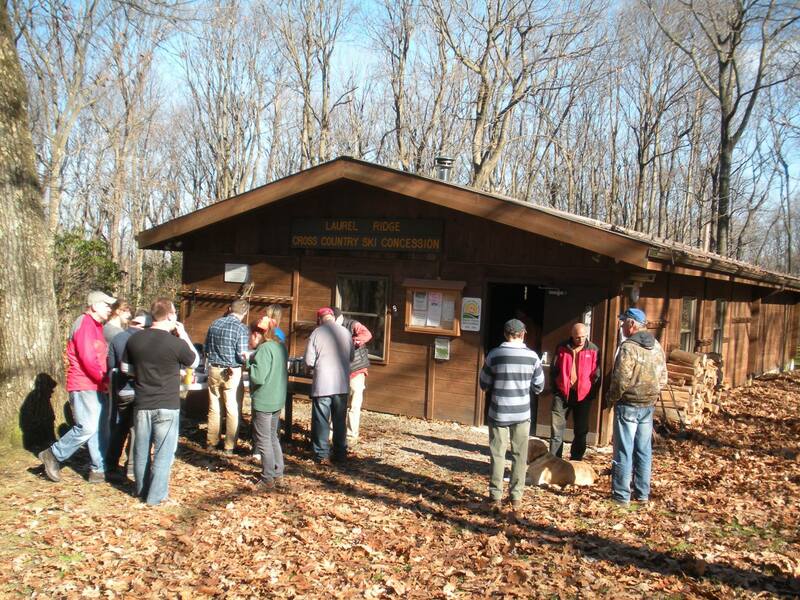 After you check out the Ski Swap, help PACCSA, the Laurel Ridge Ski Concession and DCNR get the Laurel Ridge trail system ready for snow! We'll be focusing on cleaning out drainage culverts, stacking firewood, and picking up fallen debris from the trails. There are a lot of trails at Laurel Ridge, so we can use all of the help we can get! All volunteers for the Laurel Ridge trail clear will receive one free ski pass for the 2018/2019 season. In addition, upon the conclusion of the trail clear, the Laurel Ridge Ski Concession will be hosting a picnic with burgers and chili. Please bring work gloves and hand tools such as loppers, clippers, bow saws, and rakes. If you don't have any of these tools, don't worry! There will be plenty of extras. Dress appropriately for the weather, and since PACCSA work days take place during hunting season, it's always wise to wear bright, visible clothing. Finally, if you're not already registered as a DCNR Volunteer, please do so online by clicking here. With everyone's help, we'll have all of the trails clean and clear for the season's first big snowfall!